Barb Little has been a part of eAssist since June 1, 2018. Barb’s initial interest in eAssist wasn’t exactly because it was a job in the dental field, but because she could have the opportunity to work from home. Barb says, “This is an amazing company. The core values are strong, real and right! I feel like I am a part of ‘something good’. I feel like I can touch a small part of the world by my work in HR”. Barb applied to be an HR Assistant/Staffer/Talent Manager/Grower. She wanted to be a part of something good, she wanted to work from home and she wanted to make extra money. Barb’s favorite aspect of eAssist is the incredible core values. Everyone has a job and feels valued. The company’s core values resonate with her and she strives to incorporate them daily. One interesting fact about Barb is that she loves her husband, her kids, the Lord, coffee, dogs, cool breezes, peace, laughter, work, quilting and so much more. She loves to love! Barb’s co-worker, Melinda, said this about her, “Barb is part of our Talent Management department. Since joining eAssist in June, she’s become an integral part of our onboarding process. She a friendly, outgoing face that applicants see when interviewing. Barb has a way of connecting with people that makes them feel at ease. 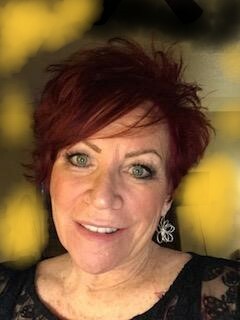 She provides valuable feedback for continual improvement of the Talent Management workflow and genuinely cares about each person that she comes in contact with!” We are so happy to have Barb as part of our eAssist team!